For many wonderful years, I was a very happy, very creative inner-city high school teacher. 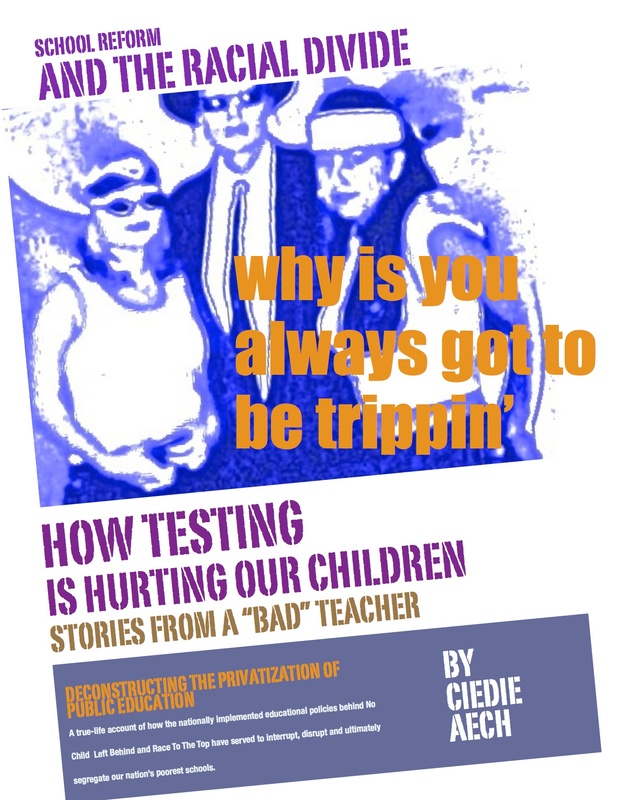 Suddenly, one year, I was hit — as were so many of our nation’s lowest-income school teachers — savagely and unexpectedly by the sudden invasions demanded by those who thought to call themselves “benevolent” test-score-accountability school reformers. Forced out of teaching along with the larger percent of our reform-greedy district’s older and more opinionated teachers, I sat down to face my overwhelming grief by trying to figure out what, exactly, had happened to me. 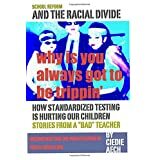 And it is thus that my book: Why Is You Always Got To Be Trippin’: School Reform and the Racial Divide came about. I hope that you will read it. I hope that you see what we are doing to our children. I hope that you, too, will fight back. Source: I found Ciedie Aech. Now you have.